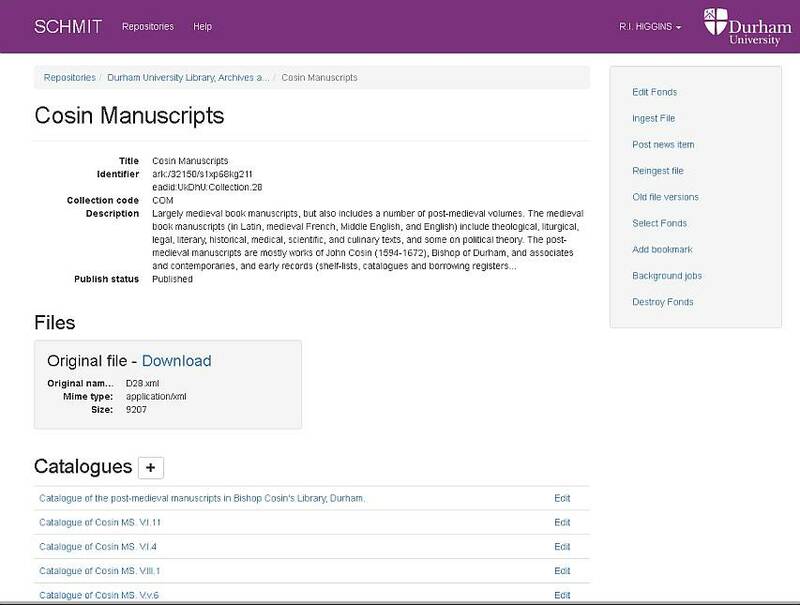 Schmit manages the xml catalogues created at Durham University Library Archives & Special Collections, amongst which are those describing the manuscript and archival material still at Durham that relate to the Priory Library Project. 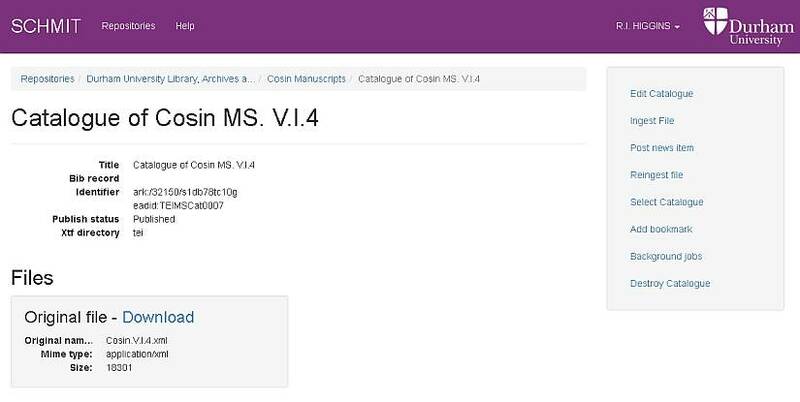 It provides an ingest and update interface for adding catalogues, assigns ARKs and other identifiers to them and then sends the data on to the Fedora repository for storage and to the various search and display interfaces provided for public access to these catalogues. At the collection level schmit stores basic information about the collection and an EAD collection level description. To this can be added any number of catalogues of material in the collection in EAD or TEI format. Each of these catalogues can then be managed at their own level.